iFixit has attempted to tear down Apple's AirPods to get a closer look at the hardware inside these clever wireless earbuds. As it turns out, disassembling the AirPods is remarkably tricky, which caused iFixit to essentially destroy the plastic outer casing of both the earbuds and the charging case in the process. Inside each AirPod is a tiny 93 milliwatt hour battery that slots into the stick of the earbud, surrounded by an antenna for wireless connectivity. 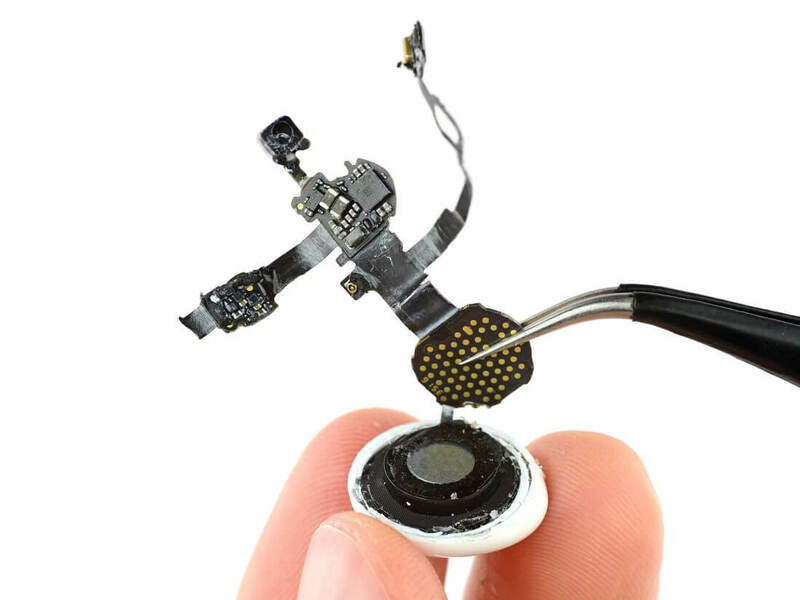 Closer to the speaker is a collection of tiny components, including what appears to be Apple's W1 wireless communications chip, a compact SoC, and an audio codec chip. The speaker assembly also tightly houses a proximity sensor. Accessing the components inside the accompanying charging case was so difficult that iFixit had to use a Dremel to cut it open. Inside they discovered a 1.52 Wh battery that should provide eight full charges of the AirPods, plus a small STMicroelectronics microcontroller and some charging and power management ICs. iFixit ended their teardown by giving the AirPods a 0/10 repairability score, indicating that it's not possible to repair the AirPods without destroying them. If one of your AirPods gets damaged, it's probably best to just pay Apple $69 for a replacement.